See Hilton Head Island like never before, from a helicopter! See Hilton Head Island like never before, from a helicopter! The views of this magnificent island are truly amazing and make fantastic photo opportunities. This flight is perfect for couples, families and is fun for all ages. You will see all of the surrounding beaches from just 700 feet up, so you can wave to all of the beach goers below! 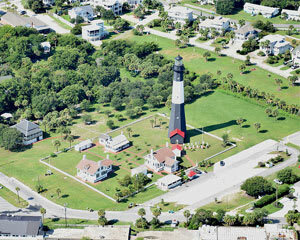 You will also fly by the Harbour Town Lighthouse, South Beach Marina, Coligny Beach and the Broad Creek Marshlands. Hilton Head Island offers many interesting tours and attractions, but none of them compare to this views and experiences of this 15 minute helicopter flight. You will remember this experience for years to come! Lori and Isaiah were both very friendly and made it a very pleasant experience. My husband and I thoroughly enjoyed our adrenaline experience. Maximum weight per group is 600 lbs. Maximum weight per group is 535 lbs.